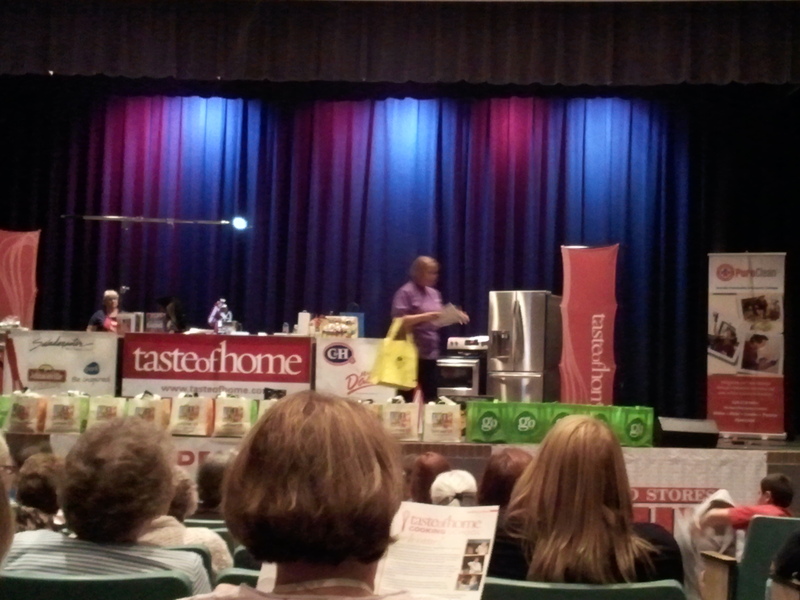 I was so excited to go to the Taste of Home Cooking School again this year! I’m so thankful to my friend, Diana, for getting up early to get tickets for us, and thankful to the Sierra Vista Herald for bringing this show in each year long with a number of other local sponsors. Yet again this year, they had a nice goodie bag for everyone at the show. 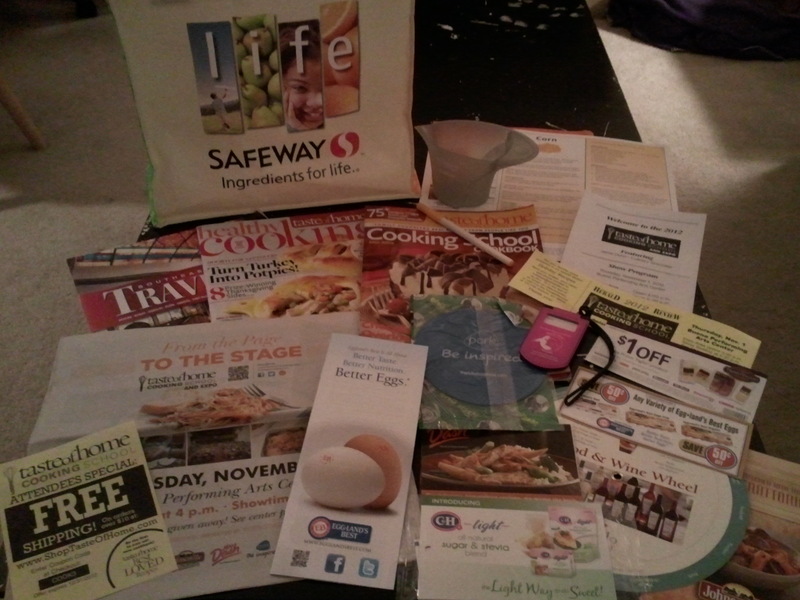 I got a Safeway bag again, and it included the Cooking School magazine, along with a Healthy Cooking Taste of Home magazine. We also got a neat measuring cup and luggage bag, plus lots of coupons for ingredients in the dishes we saw being made. They also gave away the dishes and lots of prizes, but unfortunately, no prizes for me or my friends this year. Oh well, there’s always next year!